One word to describe The Vampire Diaries Season 3 finale is– SHOCKING! There were deaths that I didn’t see coming. I honestly did not expect to see Klaus getting staked and Elena drown to death. All throughout the third season, Elena, Stefan, Damon and the rest of the team, had tried different ways to kill Klaus but our beloved Original Hybrid always managed to outsmart them. I couldn’t expect less from my favorite, and probably the hottest villain I know. The season finale was by far the best episode of this series. Watching it once or twice is not enough. I wanted to know for sure that I did not miss anything out. 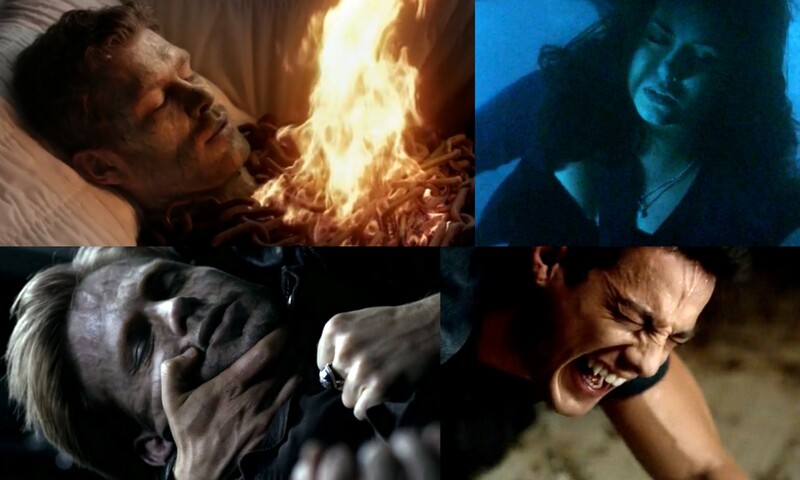 With Klaus’ death was the possible doom of the Salvatore brothers. Hence, Elena had to make her choice between the two. She chose Stefan. (Of course, she did! Duh!) She might have developed some feelings for Damon but she never stopped loving Stefan. She said this to Damon over the telephone since she was headed back to Mystic Falls where Stefan and the rest of her friends were. She tried consoling Damon by saying, “Maybe if I’d met you first…” But it was then shown that she actually met Damon first. This revelation was unbearably painful to me. Damon did make an impression on Elena. To think that she even flirted with him on their first meeting! I wonder how Elena would react when she remembers everything that Damon compelled her to forget. Elijah and Rebekah mourned the death of their brother, wondering how it was that the Salvatore brothers were still alive. Little did they know that our super witch Bonnie casted a spell to protect Klaus, who’s now possessing Tyler’s body. I was actually celebrating when I found out that Klaus was not dead after all. But I prefer seeing Joseph Morgan play the role. This entry was posted in Entertainment and tagged Alaric, Death, Elena, Klaus, Season 3, Season Finale, The Departed, The Vampire Diaries, Tyler. Bookmark the permalink.